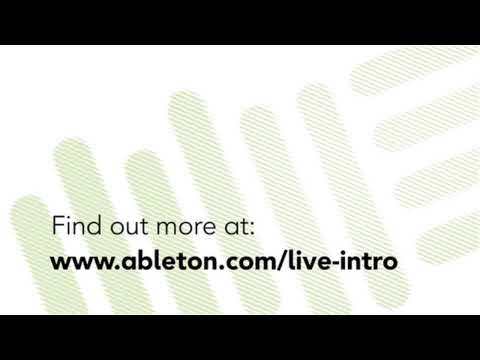 Ableton Live Intro has been created for Beginners, Producers, DJs and Live performers. With 500 instruments and effects from the Ableton Suite Library, Live Intro will make shine on stage and in the studio. Ableton Live Intro features instruments, loops, and effects in all music genres, built-in tutorials. Live Intro allows you to ReWire (Slave + master) and is able to support VST/AU plugins. Augment your DJ setup: MIDI Sync to other software, creative effects, record your mix and edit it later. Session view for non-linear real-time performance, improvisation and remix capabilities. 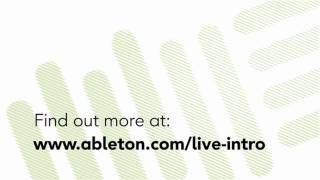 Considering purchasing the Ableton Live Intro Production & Performance Software? Have questions? Ask people who've recently bought one. Do you own the Ableton Live Intro Production & Performance Software? Why not write a review based on your experience with it. Seen a video for Ableton Live Intro Production & Performance Software online or have you own video? Check out Ableton Live Intro Production & Performance Software on DJkit.com!